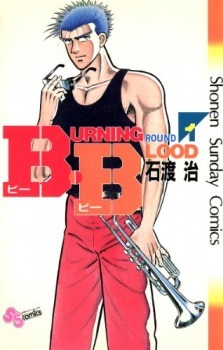 One night after leaving a club where he was playing trumpet Ryou Takagi is jumped by a motorcycle gang. The scuffle spills out into the streets and causes a traffic accident. Because of this, Ryou is arrested and forced to do time. Upon his release, he has developed into a skilled boxer but trouble continues to find him. B.B won the Shogakukan Manga Award in the shounen category in 1989.